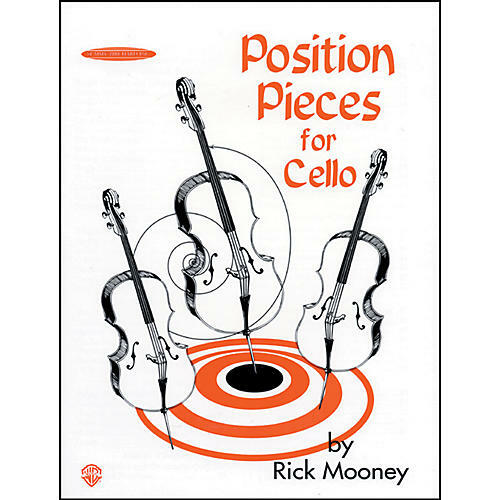 Position Pieces for Cello is designed to give students a logical and fun way to learn their way around the fingerboard. Each hand position is introduced with exercises called "Target Practice," "Geography Quiz," and "Names and Numbers." Following these exercises are tuneful cello duets which have been specifically composed to require students to play in that hand position. In this way, students gain a thorough knowledge of how to find the hand positions and, once there, which notes are possible to play. Using these pieces (with names like "I Was a Teenage Monster," "The Irish Tenor," and "I've Got the Blues, Baby"), position study on the cello has never been so much fun!